My mom sent a package last Nov from US. 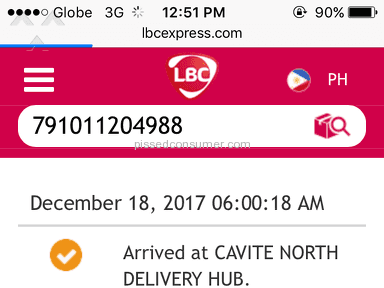 The status of the package on 19 Dec 2017 was "arrived in Manila". 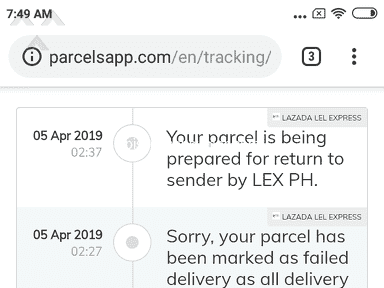 Related: LBC Express - Ano ba problema mo LBC? 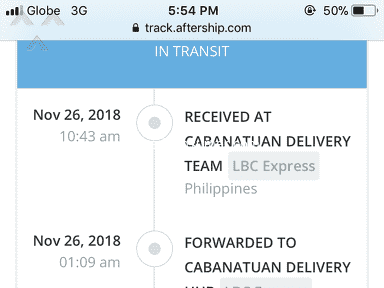 After 7 days of not receiving the package, we called LBC and told us they can't locate it anymore and said it probably got lost while in transit in Korea. Clearly that wasn't the case as the status said it arrived in Manila. 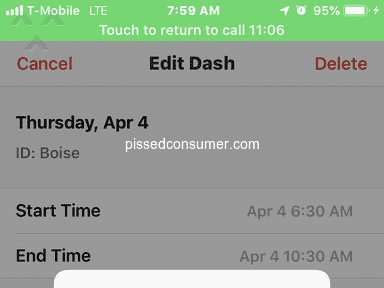 Now we can't get a hold of anyone from their customer service and they have just been pointing us to different departments. Also they are not willing to pay anything but the delivery fee of the package. 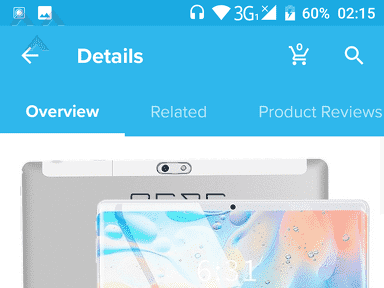 They are just offering a refund without even saying they'll investigate the case. We already have suspicions that this is not just a random loss of package case but theft. Its easy given the fact that the company isn't even willing to pay for the amount of the package lost. LBC doesn't care about your package. Better find a better one. 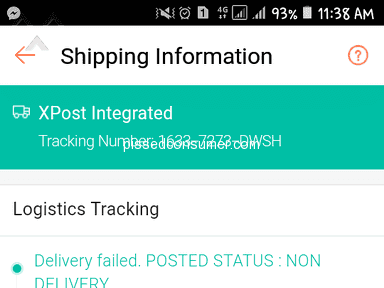 I didn't like: Package got lost or maybe not. Review #1172866 is a subjective opinion of anne_66. 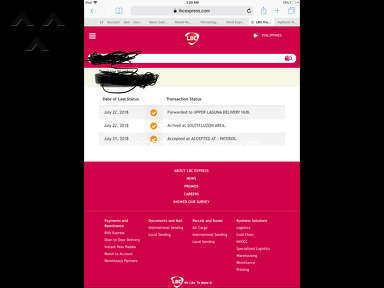 Resolved 2 days ago. The Package came and they refunded the courier fee.